If you are looking for a unique French food experience in Paris, make a reservation at Le Train Blue. 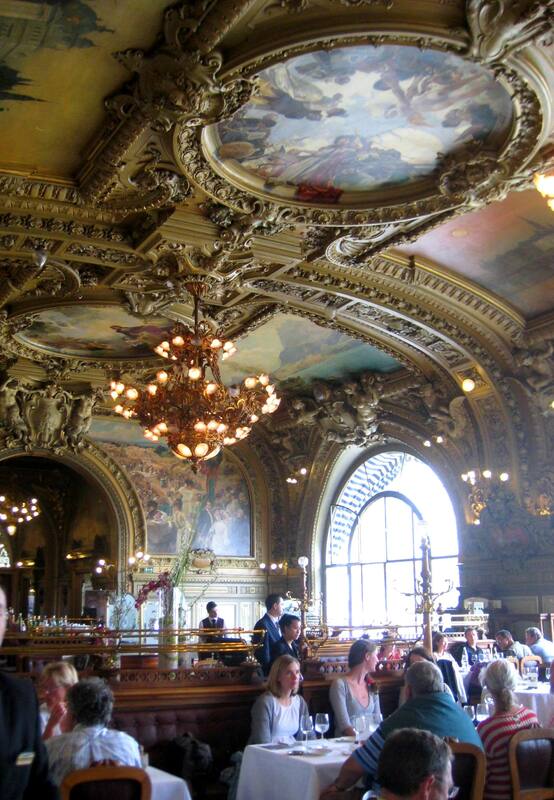 Located in the train station at Gare de Lyon, this beautiful restaurant offers views of the station while you enjoy a fancy meal. 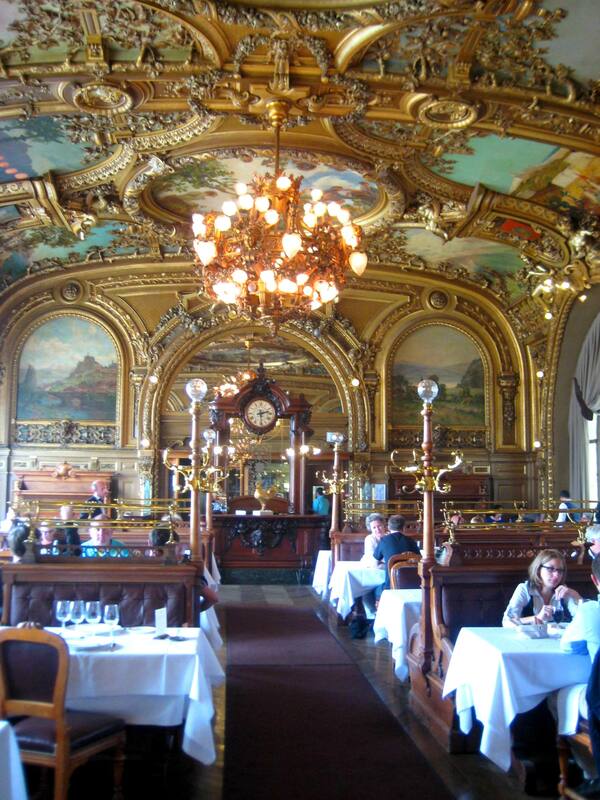 This beautiful, ornate restaurant opened in 1901 as part of the 1900 Exhibition and boasts 41 beautiful paintings depicting rail network sites and events during the 1900’s. 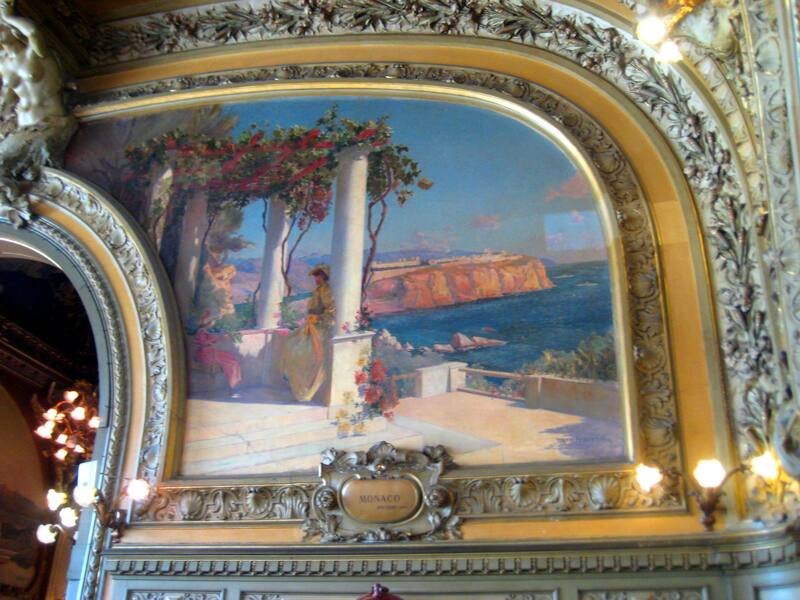 As you enter the famous restaurant, you feel as if you were transported back in time to the Belle Époque. Just keep in mind that you are still in Paris, so don’t expect anything less than an extremely snotty waiter. The food is average, so just know that you would be going there for the scenery and overall experience. Also, be prepared for a high bill, this is not a budget excursion! Many well know historical figures were known to be regulars at Le Train Bleu including Coco Chanel, Brigitte Bardot, and Salvador Dali. I enjoyed my visit to this famous restaurant and spent the entire time just looking around in awe of the decoration! You can find out more information or book a reservation on their website here. Thanks for the great post! We were going to go there the last trip to Paris but we never made it! 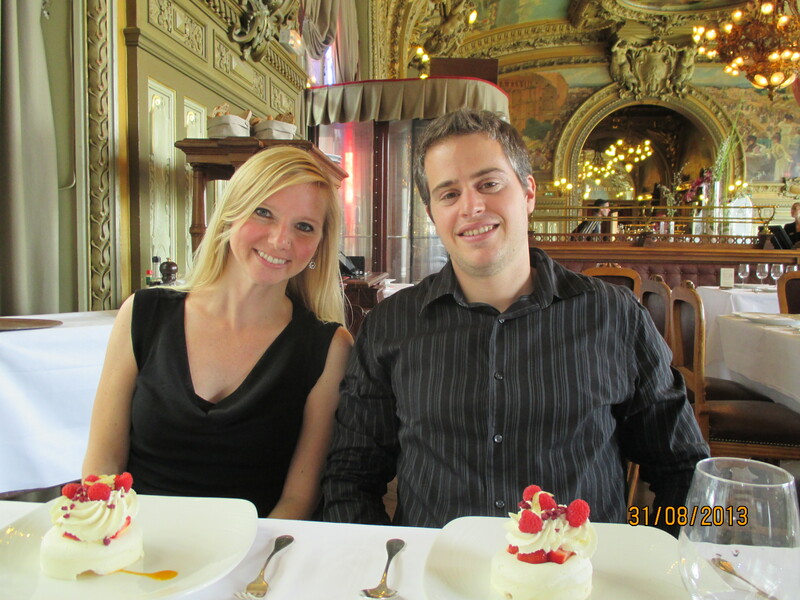 Maybe next time you are in Paris you can go! 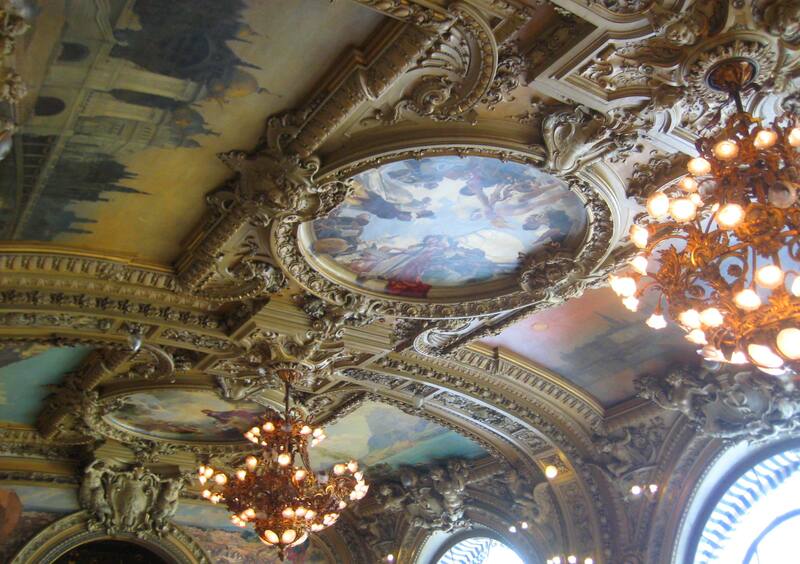 The decor inside Le Train Bleu is true eye candy!